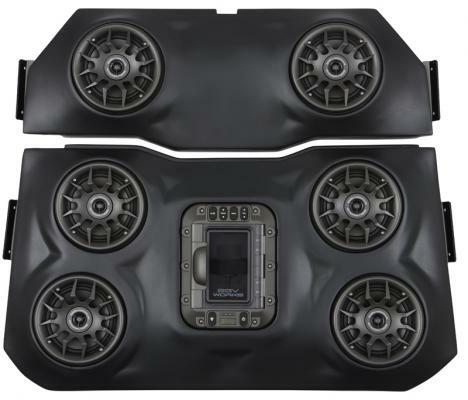 The Best Just Got Better AND Louder SSV Works new iPod Weather Proof audio system for the Polaris RZR XP 1000 and 2015 RZR 900 provides Hi-Def stereo sound. 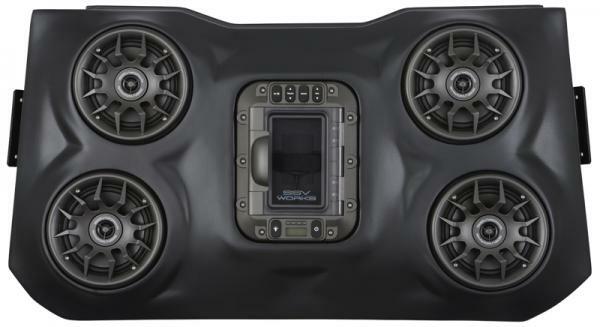 The WP-RZ3O4 clamps in overhead to your stock cage, installs in 15 minutes with a simple 2 wire hook up and is totally weather proof. 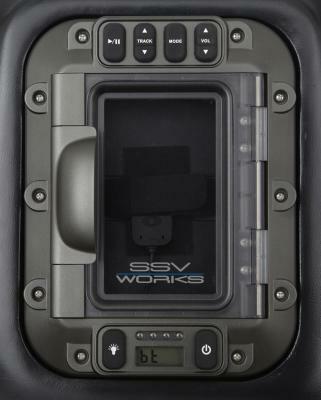 Like all SSV Works systems, the enclosure is constructed of fiberglass for maximum durability and the best sound quality. All systems include wiring, mounting hardware, and step-by-step instructions. 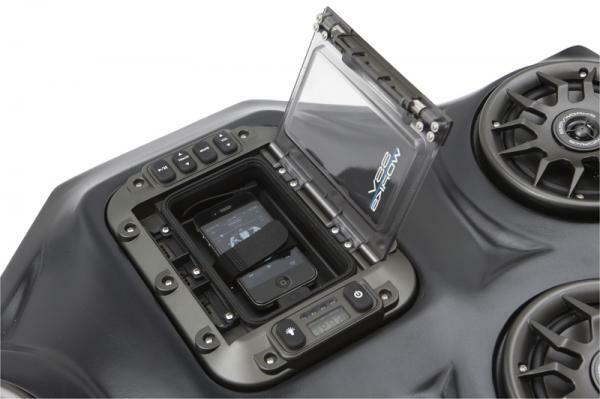 (for RZR4 1000 please- see WP-RZF3O4) Features: - Weatherproof Docking station for iPod / iPhone, no radios needed - Water tight locker with slam-latch polycarbonate door - Charges iPod, iPhone and touch - internal 50 watt x4 ultra-efficient amp for UTV's charging system - Waterproof marine 2-way 6.5" speakers - 4 LED hyperwhite dome light - On board bezel mounted rubberized controls - iPod control (Volume, Track FWD/BCK, Play/Pause) - 3.5mm AUX input for MP3 or Sat Radio - FM tuner with backlit display and external antenna - Optional RCA low-level output for system expansion (requires WP-HRCA adapter) Need more sound?